Jiro Yoshihara (1905 – 1972) is one of the founding fathers of modern Japanese art and is hugely responsible for helping post-war Japan create a new artistic expression. The son of a merchant family, Yoshihara had no formal art training but was clearly destined for the art world. In his 20s, he was inspired by European Surrealists, such as Giorgio de Chirico, Joan Miró and Wassily Kandinsky and his early artwork reflected an interest in abstract expressionism and contemporary ideologies. During these years, he exhibited in several group shows and established workshops and discussion groups with fellow artists, aiming to bring together the western cultures while keeping a strong Japanese tradition. 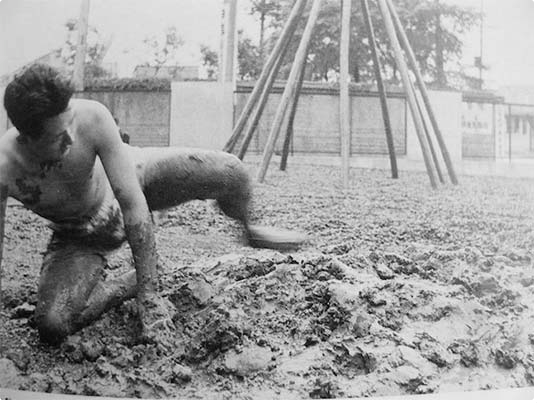 In 1954, Yoshihara became the leader of the art collective, Gutai Group, a group of artists who sought to redefine themselves against a backdrop of stifling and outdated 1950s social realist art. The group engaged in a variety of diverse mediums such as paint, film, light, sound and held performances outside using natural materials like pebbles, dirt and twigs. Nothing was off-limits and any material was seen as a tool to build a new language that was free, individual and radical. 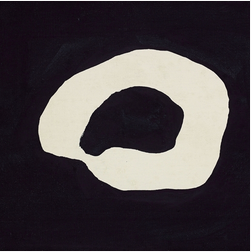 As his career developed, Yoshihara began to focus his personal work around a more subtracted and minimal motif - a circle. He painted them over and over again, never the same one twice, continually searching for the perfect shape. Some believe the circles represent enlightenment. They see the cyclical shapes illustrating a spiritual expression of Zen beliefs. 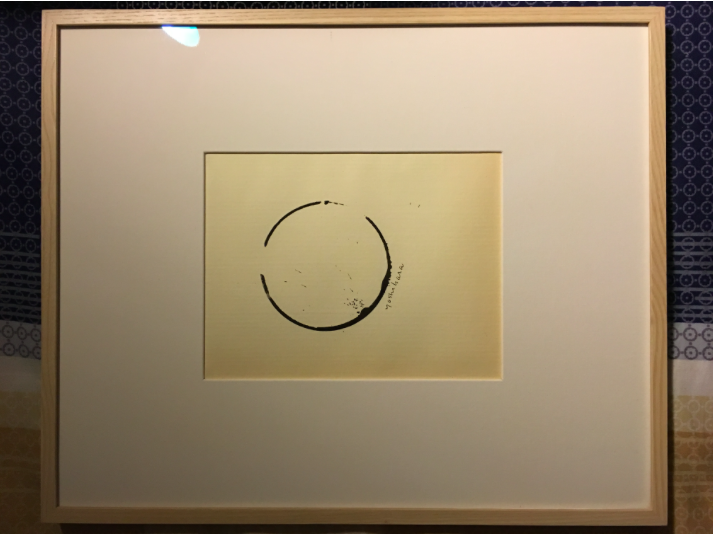 However, according to Yoshihara’s personal writing, he used the circle not out of any profound meaning, but simply because it is a convenient shape. The painting sent to Barnebys was snapped up by Sothebys Hong Kong, eight months after their celebrated Yoshihara collection sale, Full Circle. In excellent condition, framed and with the correct authenticity documents, Sothebys consigned this painting with an estimate of 40-60,000 HKD. It will be up for sale in their January 2017 auction so we will bring you all the latest news on the final price as soon as it happens. If you think it’s about time to sell your artwork, send it to Barnebys appraisal service and let the specialists come to you!